Yesterday the Fall 2018 issue of VoiceCatcher, a literary/art journal, came out and my collages are featured in it! It seems strange that for many years I imagined submitting short stories or poetry to a journal like this, and now it’s my visual art that is published. Dreams can be fulfilled in ways we don’t expect. Zoe is one of the three pieces they chose. This entry was posted in Press and tagged outsider art, pacific northwest artist, pdxart, portland art, women artists on December 6, 2018 by admin. Here are a few of the collages I’ve been working on for the Little Things show at Guardino Gallery, which runs from November 23 through the end of December. All of the work has to be under 7″, so these are on 6×6″ cradled panels. 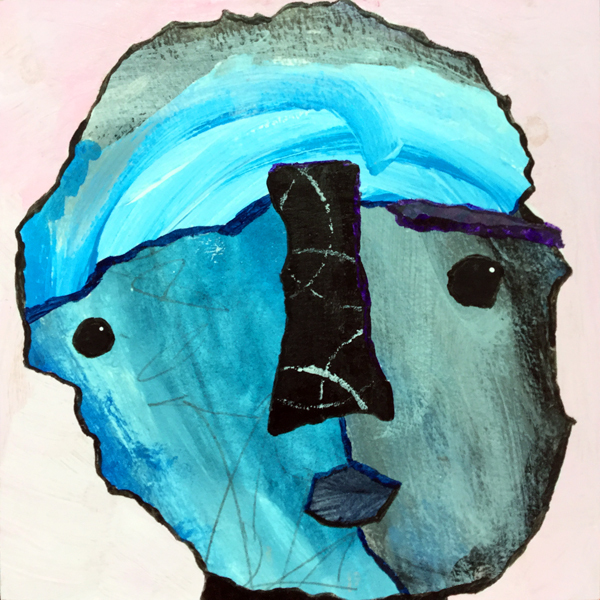 This entry was posted in Exhibitions and tagged art events, art for sale, art show, collage, outsider art, pacific northwest artist, portland art on November 16, 2018 by admin. 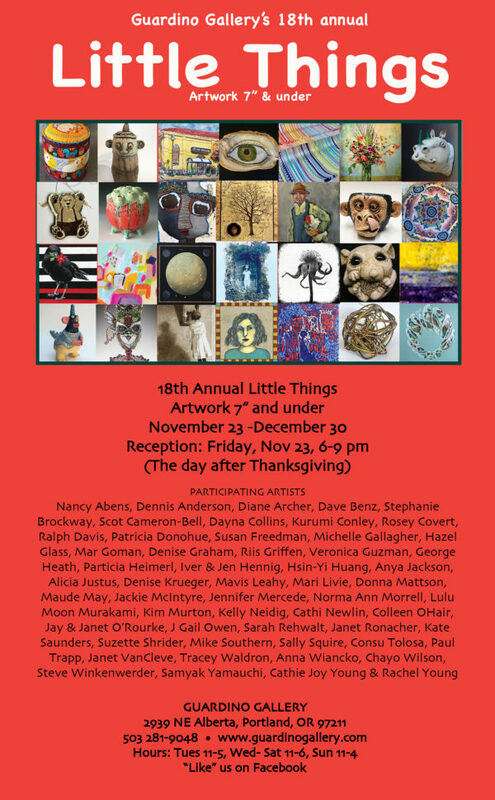 Guardino Gallery has been one of my favorites for many years, so I’m thrilled to be invited to participate in their annual holiday show, Little Things. All of the work has to be smaller than 7″. I’ll be making a bunch of collages on 6×6″ cradled panels. 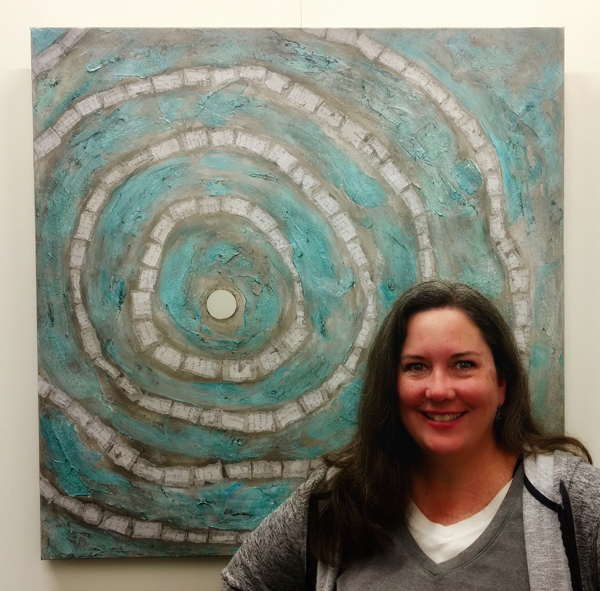 This entry was posted in Exhibitions and tagged art events, art show, pdxart, portland, portland art on November 1, 2018 by admin. 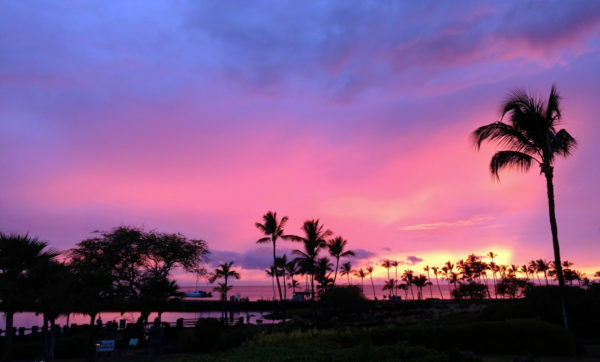 One of the locals in Hawaii called this a “hurricane sunset,” courtesy of Hurricane Lane. 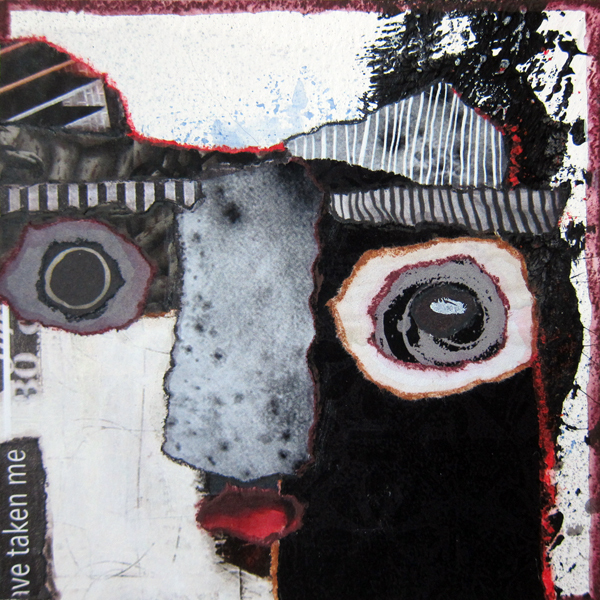 Riis Griffen, mixed media collage on 8 x 8″ cradled panel. But paint could never match nature’s glorious, luminous colors! 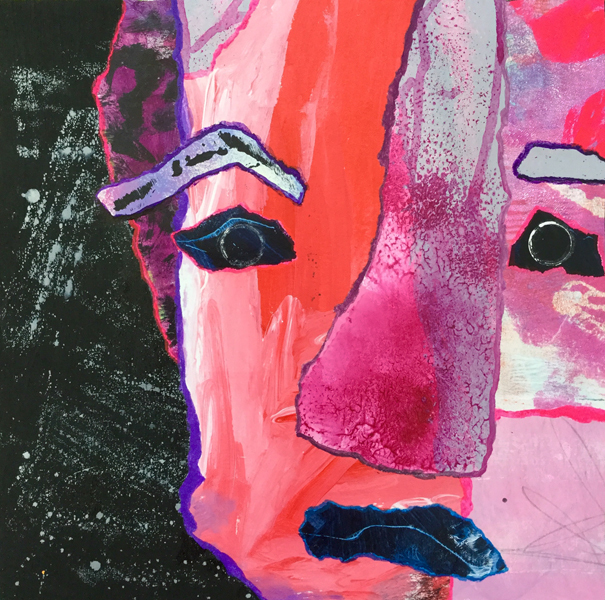 This entry was posted in Nature, recent paintings, Travel, Uncategorized and tagged collage, pacific northwest artist, weather, women artists on August 30, 2018 by admin. 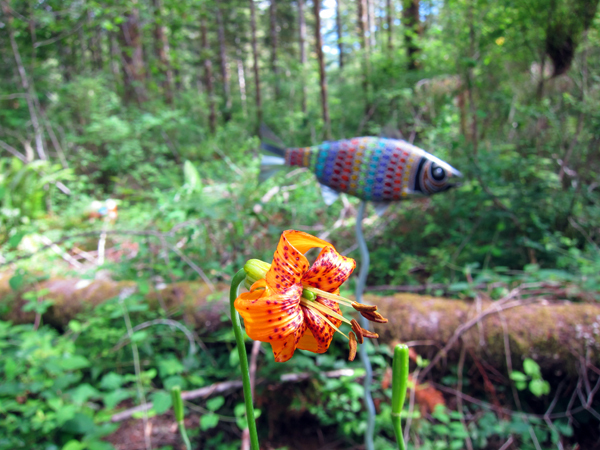 The Tillamook Forest Center offers a collaborative exhibition to intrigue and delight visitors this summer. Artists Elaine Treadwell and Beth O’Mahoney are exhibiting sculptures inside the center and have installed a variety of work along the River View Trail, including several “guardian” figures. I’m honored to be invited to paint one of the salmon that are mounted along the trail. Here’s a photo of it above the Wilson River. 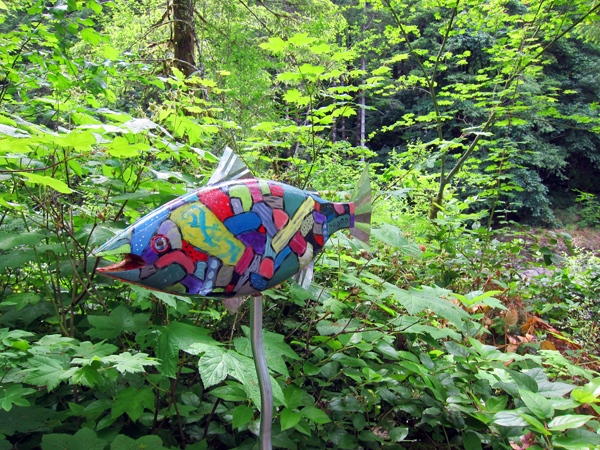 Riis Griffen, salmon for the “Celebrating Renewal” installation along the Wilson River. I’ve always enjoyed the forest center, which is reached by a beautiful drive through the forest. The center itself is an interesting place to visit, with exhibits about the history of logging, forestry and pioneer life in the area. Outside there is a replica of a fire lookout. My husband and I thoroughly enjoyed exploring the installation that leads visitors to discover a variety of pieces that interact with their surroundings in different ways. Here’s one more of the fish along the trail. I think this one is my favorite! The installation is on view until Labor Day. This entry was posted in Community, Exhibitions, Nature and tagged art show, installation, pacific northwest artist, women artists on July 10, 2018 by admin. A couple of my pieces that found new homes at the Lake Oswego Festival of the Arts. I’m happy to know that buyers will be enjoying “You Light Up My Life” and “Octavian” in their homes. 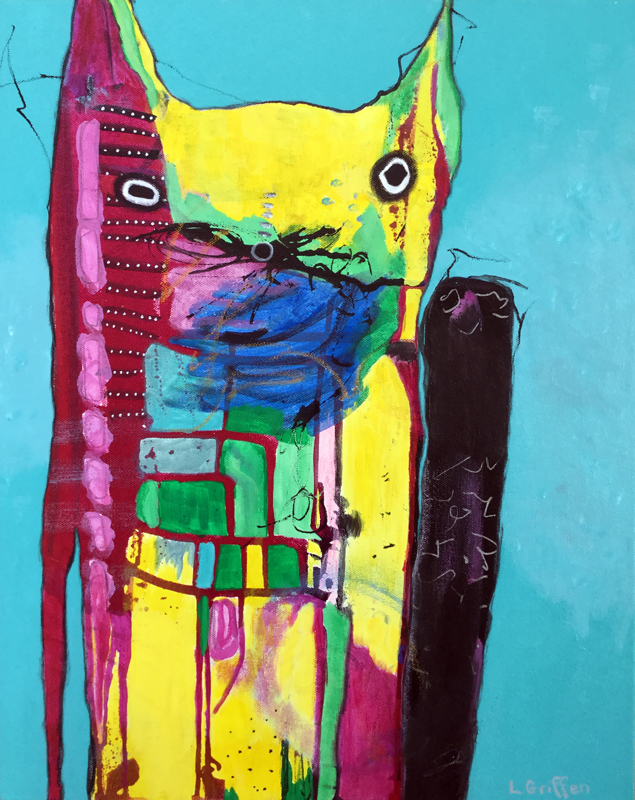 This entry was posted in Exhibitions and tagged art show, cat painting, pacific northwest artist, painting, pdxart, rabbit painting, sold art, women artists on June 29, 2018 by admin. 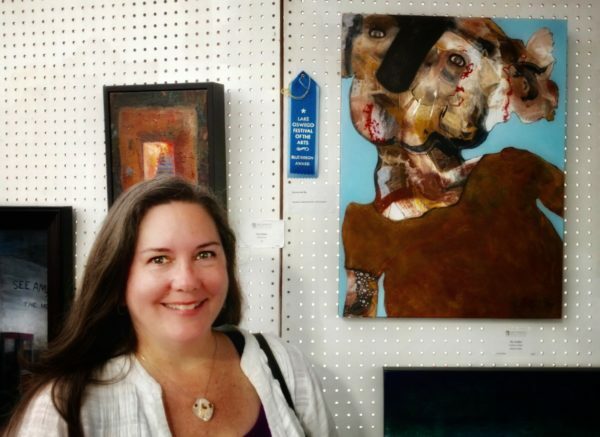 This entry was posted in Exhibitions and tagged art events, art show, award, pacific northwest artist, painting, portland art, women artists on June 27, 2018 by admin. I’m so excited to hold a copy of Whimsicalia in my hands! This selection of animal characters is 72 pages long and full color. And it’s available on Amazon! 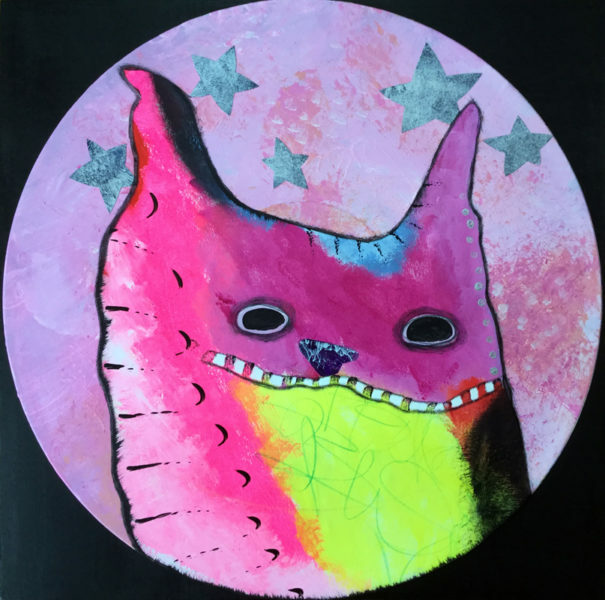 This entry was posted in Uncategorized, Wheeee!, Whimsicalia and tagged books, cat painting, dog painting, pacific northwest artist, rabbit painting on May 10, 2018 by admin. 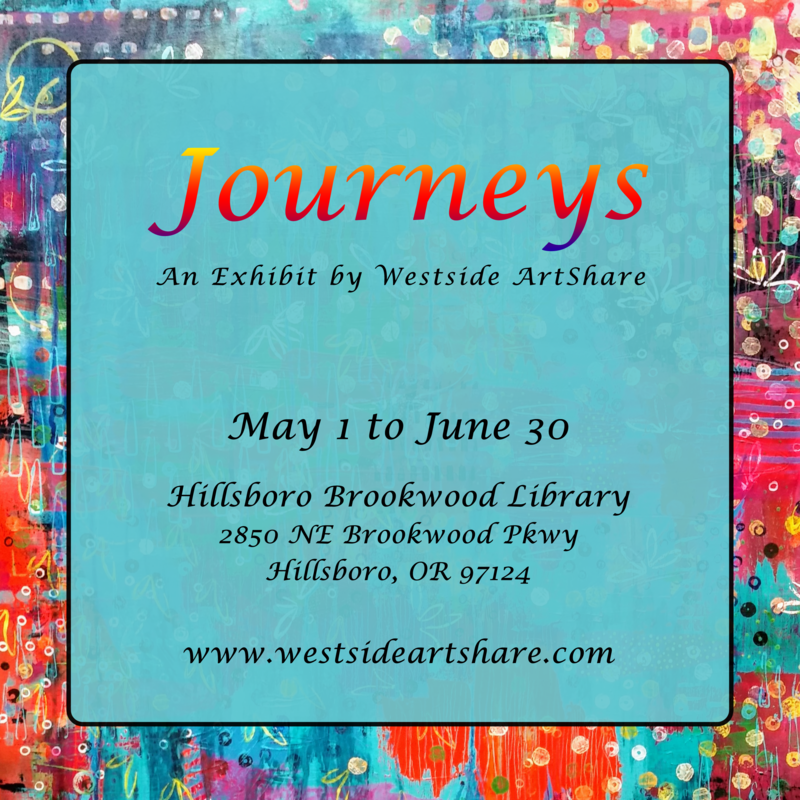 Ten members of Westside ArtShare hung art at the Hillsboro Brookwood library gallery. Each explored the theme of “journeys” in a different way. I focused on the idea of personal, emotional journeys and used torn journal pages and lots of texture to create two 36 x 36″ pieces. The show is on view until June 30. 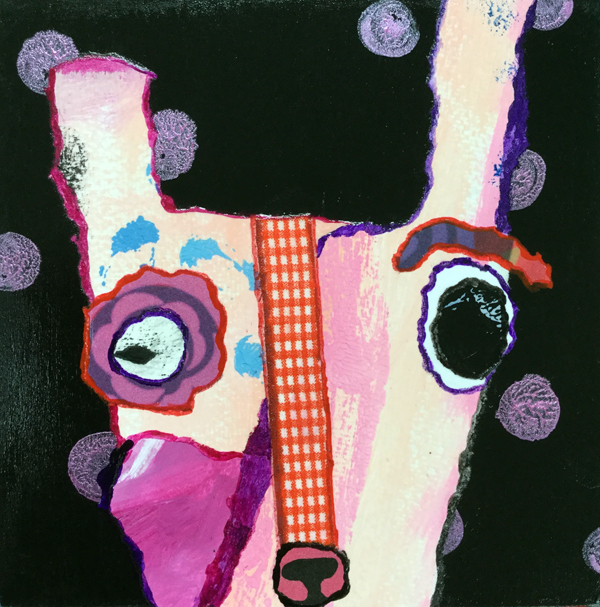 This entry was posted in Exhibitions, recent paintings, Uncategorized and tagged abstract art, art events, hillsboro oregon, portland area, washington county, westside artshare, women artists on May 5, 2018 by admin. 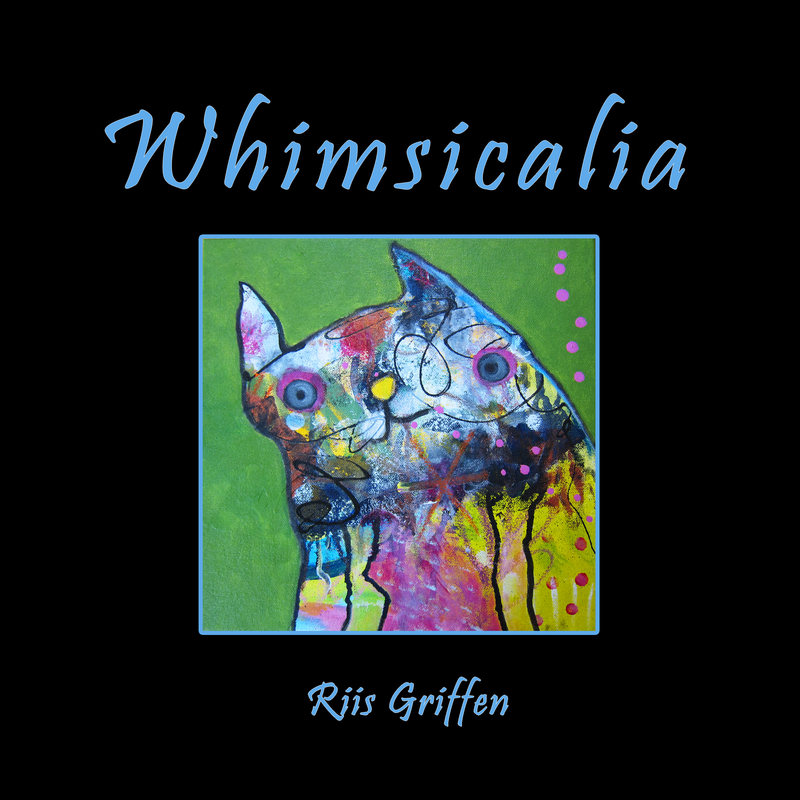 I’m so excited to receive the proof copy of Whimsicalia, a collection of my favorite animal characters from the last six years. The 72 page, full color volume will be available on Amazon by the end of April. 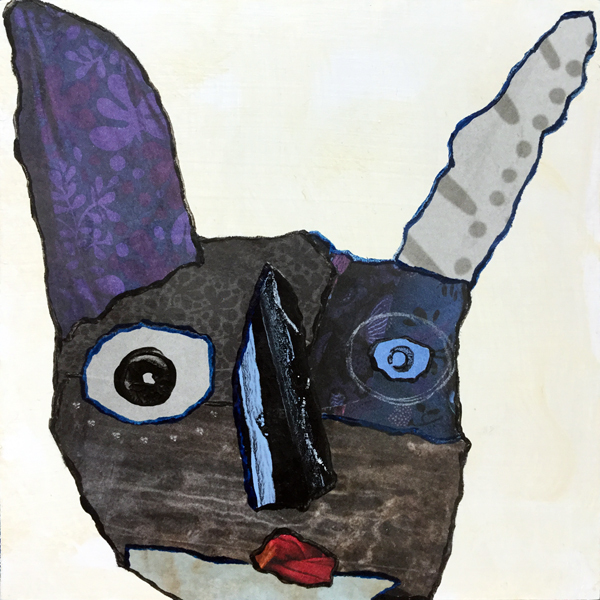 This entry was posted in Wheeee!, Whimsicalia and tagged animal art, cat painting, characters, dog painting, frog art, my book, rabbit painting on April 9, 2018 by admin.